Australian fruit manufacturer, SPC, has introduced a new snack range, ‘Aussie Diced Pear’ and ‘AussieDiced Peaches’. The products are focused around providing easy-to-open packaging and come in individual portion-controlled tubs. The other strong marketing message is the Aussie aspect – in the fact of the Australian-ness of the product in the origin of the fruit and as the place of manufacture of the product. The launch of this product range follows on the SPC announcement in May 2015 that it was using money invested by parent company Coca-Cola Amatil and the Victorian State Government to make a new easy-to-open line for older people called ‘ProVital’. That line was said to be designed for the elderly and the ill, making it ideal to attract back many of SPC’s traditional customers who were being lost due to difficulties of opening the previous design of packs. Coca-Cola Amatil and the Victorian State Government invested a combined total of $100 million into the fruit manufacturer – despite the Federal Coalition Government having refused to assist in the funding package to the company in 2014. 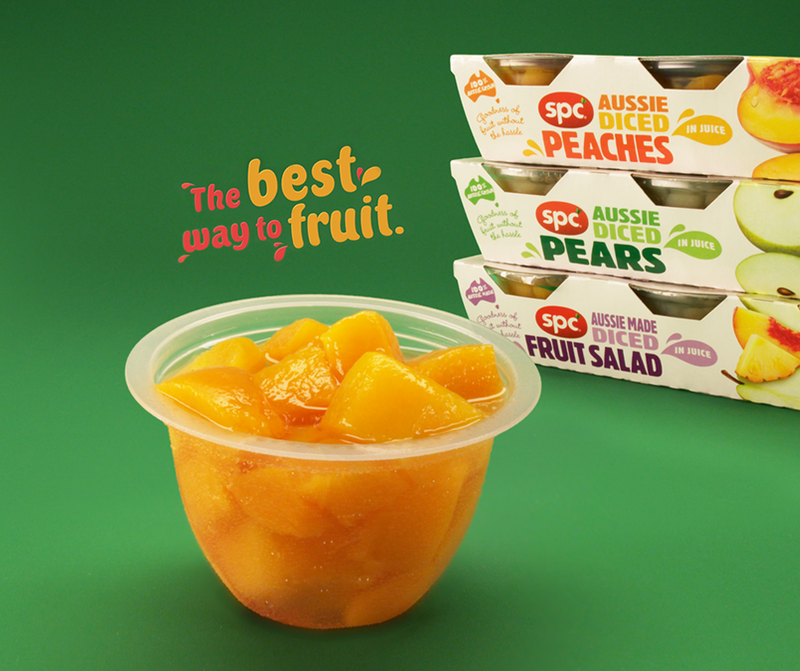 SPC’s new Australian Diced Pear and Peaches are said to contain no artificial colours, flavours or preservatives. The product range has received a health star rating of 3.5 as part of the Federal Government’s health rating system. Innovation has been a focus for SPC since it received its funding from the Victorian State Government and Coca-Cola Amatil. For example, in December 2014, Australian Food News reported that SPC had moved into the frozen-dessert market with ‘Perfect Fruit’ which turns frozen fruit into the consistency of soft-serve ice cream.